SiteGround vs. Flywheel: Is Flywheel Hosting Worth the Extra Money? SiteGround and Flywheel are two premium hosts, but it’s difficult to compare them because they serve very different clients. SiteGround is one of the best hosts when it comes to standard shared, VPS and dedicated hosting. You get tons of options with your hosting, and while many will install WordPress on their website, you are free to do whatever you want. 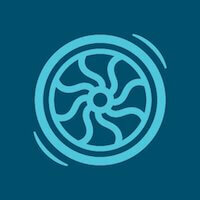 Flywheel is more like WP Engine in that it’s specifically for WordPress and no other CMS. While it’s more accessible than WP Engine, Flywheel and SiteGround serve very different purposes. Keep that in mind while I talk about both hosts. Having a specialized host is great and both offer premium hosting, but which is really best for your individual needs? I’ll go through that now and you’ll be able to pick. Unlike some other hosts that use “Unlimited” or “Unmetered,” which really just means you get a mysterious amount of bandwidth or disk space until you’ve used “too much,” Flywheel is upfront with what you get. Their entry-level plan, called Tiny, gives you 5,000 visitors per month, 5GB disk space and 250GB bandwidth. These are all simple terms that anyone can understand. Scaling up is simple. Just choose the next plan or tell Flywheel what your new needs are and they will increase your resources. It’s easy and straightforward. There are also only a few upsells that they are transparent about and they actually are beneficial. If you want extra speed (and who doesn’t? ), then I suggest you consider the CDN upsell. This is an extra $10 a month with the Tiny and Personal plan (it’s free with the Professional plan). CDN is a powerful cache program that dramatically improves loading speed. In many cases, Flywheel is faster than Siteground. It’s not by a huge margin, but if you’re looking for the fastest without any exceptions, then Flywheel is the better of the two. There are also multiple hosting locations so you can ensure the server is as close to you as possible. Do you have your site hosted somewhere else? No problem! While you can always do the migration yourself, it takes time and errors can always occur, which is frustrating. Flywheel offers to do the whole migration for free, plus they’ll take care of any problems or errors. This is offered with all plans. If you’re a freelancer and you just want to build a site for a client, Flywheel gives you that opportunity without spending a penny. You can take advantage of their advanced WordPress environment and install all the right themes and plugins until the site is perfect. Once finished, you can host the page on a free Flywheel subdomain. This allows the client to see the website and either approve it or ask for modifications. All you have to do now is ship the website to them. Flywheel allows you to send the invoice to them and then Flywheel will take over as the host. Flywheel allows you to make “Blueprints.” These are like macros where you can install a set of themes and plugins in just a single click. As you might expect from a specialized host, all the support staff at Flywheel are skilled at WordPress and know all the ins and outs. Not only are they skilled, but Flywheel has expanded their support hours and now offer 24/7 support by email ticket or live chat. Phone support is also available, but it’s Monday-Saturday and 9am to 6pm EST. Support is often quick and readily recognizes your issues and should be able to solve any problems fairly quickly. Flywheel takes security very seriously. Not only are hackers a danger to your website and privacy, but they can also slow down the whole service. They have several security methods in play. There’s limited login attempts, intelligent IP blocking, malware removal and more. There’s also one SFTP login that helps you manage all of your sites. This is secure as long as you don’t give up the login credentials. Flywheel is geared towards professional WordPress users, which are either advanced users or those selling WordPress sites. As such, you’ll see that Flywheel offers many resources to help you design a professional looking page, plus they even have classes and training so that you know the latest trends. Whether you just want a great looking site or you want to make some money developing these pages, you’ll find that the design assistance really helps. The price mentioned above for the Tiny plan isn’t bad, but it’s for a single WordPress site. Just one. You can host more than one WordPress installation, but it gets very expensive. The Freelance plan, which gives you 10 WordPress installations, is $92 a month. You do get a lot of resources and that’s not much per installation, but this is still a steep price. While this cost is similar to WP Engine, SiteGround is much more affordable. This is just a small annoyance, but you would expect Flywheel to have a domain like flywheel.com. They don’t. What’s worse is that Googling “Flywheel” will bring up many different websites. You have to specifically look for “Flywheel host” to get there. It’s annoying and may cause some people to visit the wrong website. This is almost unheard of in the hosting arena. Flywheel doesn’t have email hosting. Almost every other host on the planet hosts your emails for your domain. You need to use a third-party service (often a paid one) to get hosting for your domain. Flywheel says this is so that they can focus on being the best WordPress host, but this seems like an odd way to do it. Flywheel doesn’t always consider a visitor to be someone who actually goes to your website. If you share an image that’s hosted on your website on social media, or if someone links to you, those are considered visitors. This can be problematic if your website becomes incredibly popular. Much like Flywheel, SiteGround doesn’t try to sell you on unlimited hosting. Instead, the resources are plainly give so that you understand what you’re paying for. The entry-level plan includes enough bandwidth for about 10,000 visitors and 10GB of disk space, which is more than Flywheel. However, the price is much lower. It starts at $3.95 during the trial period and goes up to $11.95 after that. Siteground only uses the term “unlimited” with domains. As long as you choose their second plan or higher (GrowBig), you can host as many domains as you want. This costs $5.95 a month initially and then $19.95 a month after that, which is much more reasonable than $90+ a a month. There are also a reasonable number of plans when you want to scale up. There are often about three or four different options for shared, VPS, cloud, dedicated and other types of hosting. This gives you choice without feeling bloated or difficult to navigate. While somewhat slower than Flywheel, SiteGround is one of the fastest hosts you can find. Choose between several different hosts in America, Singapore or Europe. This ensures the server is as close to you, and your traffic, as possible. The guaranteed uptime is 99.99%, which is pretty good, but SiteGround often outperforms their guarantee and is usually closer to 99.999%. Not only does SiteGround has automated programs to redirect and stop hackers from interfering with their servers, but they also have in-house Linux Containers, Server Monitoring and other programs and techniques that improve speed and performance. All plans use SSD servers, which are significantly faster than disc-based servers. Standard cPanel is recognized as one of the best admin programs. It’s lightweight, simple and has a ton of documentation to help you fix any problems. 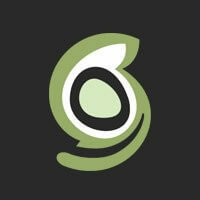 Along with all your admin functions, you also gain access to Softaculous. This is one of the best script installers with over 300 scripts to choose from. Unlike Flywheel that exclusively allows WordPress, SiteGround allows you to install WordPress, Drupal, Joomla, Prestashop and so much more. This gives you more control over how the website turns out. If you have problems with any scripts, then just shoot a message over to the support team. They’ll quickly be able to identify the issue and correct it for you. No one beats SiteGround when it comes to support. There’s no other host that comes to mind that is as transparent, helpful and fast as SiteGround when it comes to both sales and technical support. The staff is available 24/7 for email, phone and live chat support. This is a SiteGround priority and it definitely pays off. Many hosts will leave you waiting until they either pick up or respond. Not SiteGround. They guarantee no holding or waiting for both live chat and phone support. You’ll be connected to a support member within seconds. Email support is a little slower, but I want to emphasize “little.” Your ticket will be answered within 10 minutes at most. Often it’s less. SiteGround balances their support by ensuring that all times (especially peak hours) are overstaffed. This always keeps someone free to answer your call or message. They’re also very well trained and will rarely put you on a prolonged hold. Another interesting feature is that SiteGround will show you a picture and profile whenever you use email or live chat support. This lets you see who you’re talking to and what their experience is. Are you a student? You can get $1.99 hosting as long as you have a verifiable .edu email address. This makes affording your own hosting just a little easier. Regardless of your plan, every website is backed up automatically each and every day. If you ever have a problem with your website, you can be sure that a recently backed up version is available for you. There’s not much to complain about with SiteGround, and it may not seem significant here when compared to Flywheel, but SiteGround is an expensive host. Their smallest plan is close to $12 a month after the trial period. Most other shared hosts are closer to $8 a month after the trial period, so you are spending a lot more with SiteGround. While they are a premium host with lots of features and power, this might be prohibitive for some newer website owners. Flywheel is more expensive, but that’s because they specialize specifically in WordPress hosting and it’s pretty common to see their price when compared to other similar hosts. SiteGround is more expensive than their most common competitors, so consider that before putting your money down. Both Flywheel and SiteGround have very different features and clients, so it’s hard to say that one is specifically better for the other. While both of them can have WordPress, even the way they serve those clients are different. Flywheel gives you a specialist’s touch with great resources, features and a ton of tools for developing advanced WordPress pages. SiteGround, on the other hand, also gives you a lot of resources, but they aren’t quite as advanced a host in this regard. However, SiteGround is significantly less expensive (though they are expensive when compared to similar shared hosts), and they give you tons of other scripts to install. WordPress might be the most popular CMS, but it’s far from the only one. They are also the king of customer support, helping you quickly and effectively. Flywheel is good here as well, but no one beats SiteGround. In general, I think SiteGround edges out Flywheel. Flywheel is great with WordPress, but that’s all they can do and they don’t even have their own email server. Not only that, but they can be very expensive if you want to host more than one website. Both are amazing so really consider your needs, but I think that SiteGround is the true winner here.